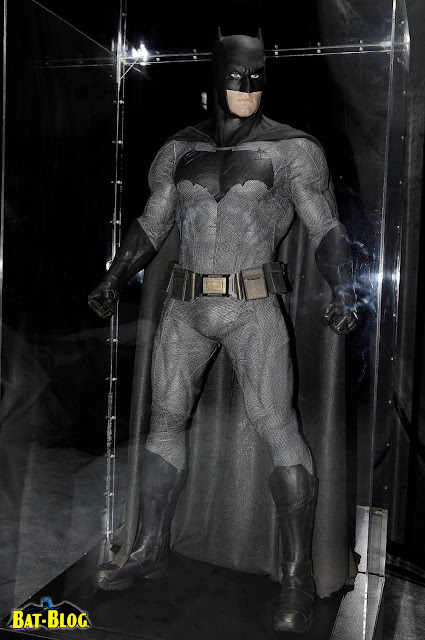 BAT - BLOG : BATMAN TOYS and COLLECTIBLES: Warner Bros Shows-Off Ben Affleck's #BATMAN BAT-SUIT in Great Detail!! Warner Bros Shows-Off Ben Affleck's #BATMAN BAT-SUIT in Great Detail!! 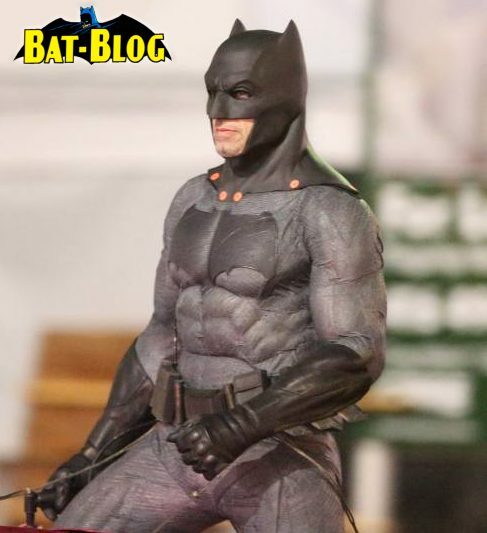 Check out Ben Affleck's Bat-Suit on display!! Click on it for a super high-resolution photo. Then, down below are a few fan-made photos from the filming of the SUICIDE SQUAD Movie that is happening in Canada. 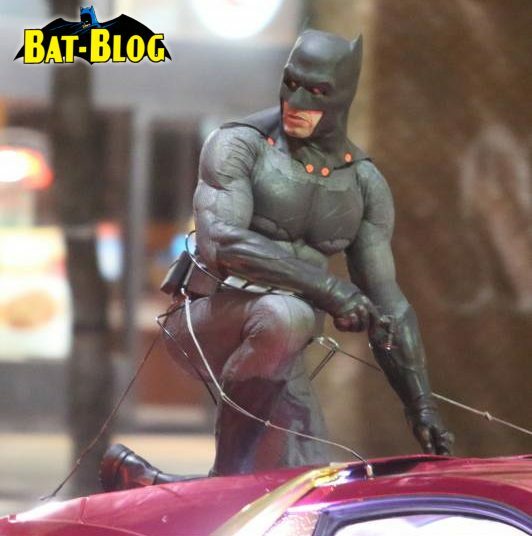 This is a Stuntman wearing the suit for a "Joker Car Chase Scene" and you can see the Bat-Suit again in great detail! There's no cape here so I'm guessing they are gonna CGI it into the movie in post-production, nice. Hey, what's with the safety harness? Batman don't need NO safety harness!